Uncontrolled crystallization of cocoa butter typically results in crystals of varying size, some or all large enough to be clearly seen with the naked eye. This causes the surface of the chocolate to appear mottled and matte, and causes the chocolate to crumble rather than snap when broken. 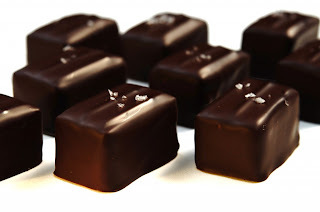 The uniform sheen and crisp bite of properly processed chocolate are the result of producing consistently small cocoa butter crystals by the tempering process. 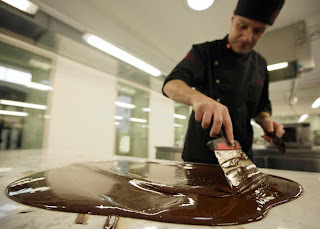 Tempering chocolate isn’t especially difficult, but it’s just not something you do everyday. So, why bother? It’s because it is the process that gives chocolate a lustrous finish, a higher melting point and a good “snap” when broken. 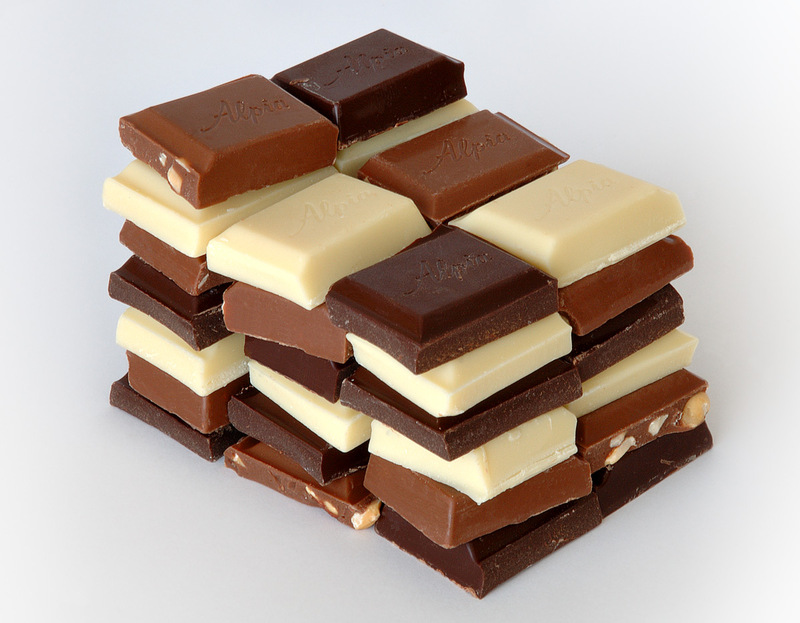 Chocolate that hasn’t been tempered can develop a blotchy look on its surface, also known as fat bloom. 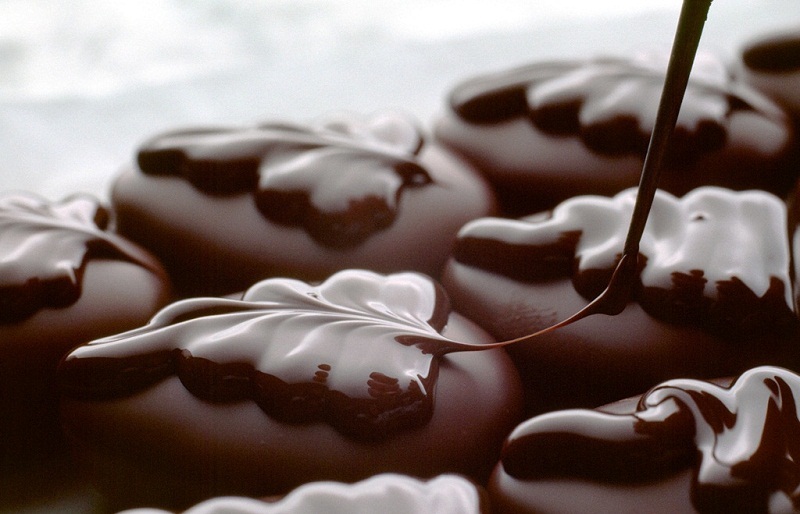 This is caused by crystals of cocoa butter rising to the surface of the chocolate and setting as a film. It doesn’t affect the chocolate’s taste, but it looks ugly and melts quickly, making it a messy eating experience. 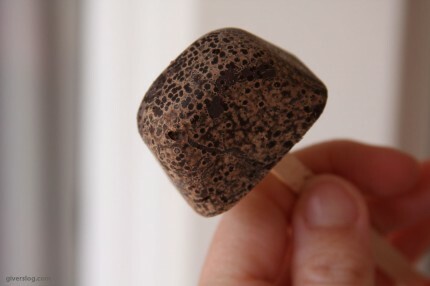 To temper chocolate, you heat it and cool it, changing its structure. When chocolate is melted beyond 36C – even if it was an already-tempered block to begin with – the cocoa butter can form into six types of crystals. All these crystals have different melting points and variable hardness, and only one boasts all the attributes for tempering. You temper chocolate to achieve a result where only the desirable crystals form, giving you a luscious finished product. The first stage is to gently melt the chocolate until all cocoa butter crystals are completely melted; this happens at 48C. 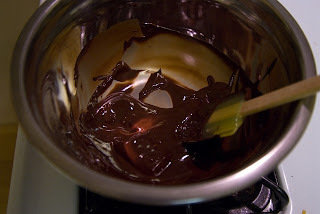 You can melt chocolate using a microwave or water bath (bain-marie), but you must be vigilant in ensuring absolutely no moisture gets in the bowl. The best method is to bring 2 inches of water to a gentle simmer in a medium saucepan. Place the chocolate in a heatproof bowl that fits snugly onto the saucepan but ensure the bowl doesn’t touch the surface of the water. Direct contact is too hot for the chocolate. 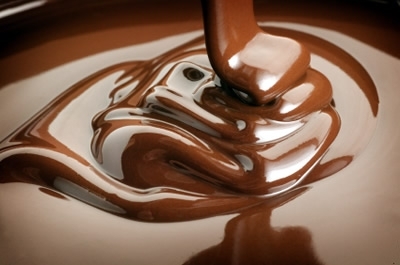 Now stir the chocolate frequently until it melts and monitor the temperature with a thermometer. You want to warm it only until it just reaches 48C, then remove the bowl from the saucepan. Microwave Method: You can also use a microwave to melt smaller amounts of chocolate in 10- to 15-second increments, stirring well after each burst of heat. Either way, be careful not to overheat the chocolate because once it’s heated over 60C it’s ruined. The next step is to cool and crystallize the chocolate. Tabling is the traditional method and a good way to temper large quantities of chocolate. It involves cooling and agitating some of the melted chocolate on a cool surface (like marble) until the desired crystals form, then introducing it back into the remaining chocolate. 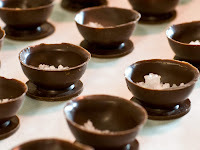 I find a process called seeding to be an easier way of cooling and crystallizing. 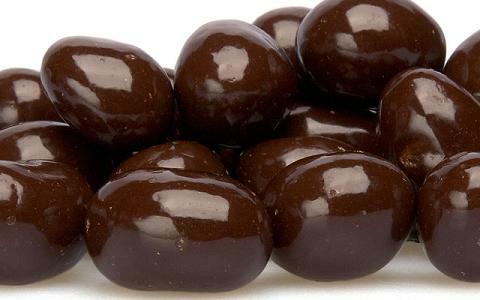 - All Lindt chocolate or chocolate chips, for instance, is tempered, so you can grate it straight from the block or you can keep some of your own already tempered chocolate on hand for the next time you temper. After cooling and crystallizing, you need to carefully reheat the chocolate to bring it to working temperature. This will melt away some of the unstable cocoa butter crystals that make chocolate set without a gloss. To reheat the chocolate, you have to be exact with the temperature. A hot-air gun – available from hardware stores is a good way to reheat chocolate. But believe it or not, a hair dryer does the trick just as well. Warm the chocolate with your hot-air gun or hair dryer, stirring continuously, monitoring with a digital thermometer until it reaches the desired temperature. 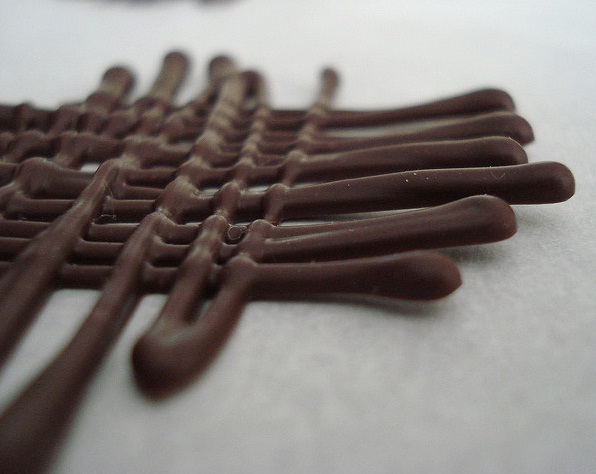 It’s a good idea to check a small sample to see if the chocolate is tempered correctly as you go. The easiest way to do this is to dip a small piece of baking paper into the chocolate. 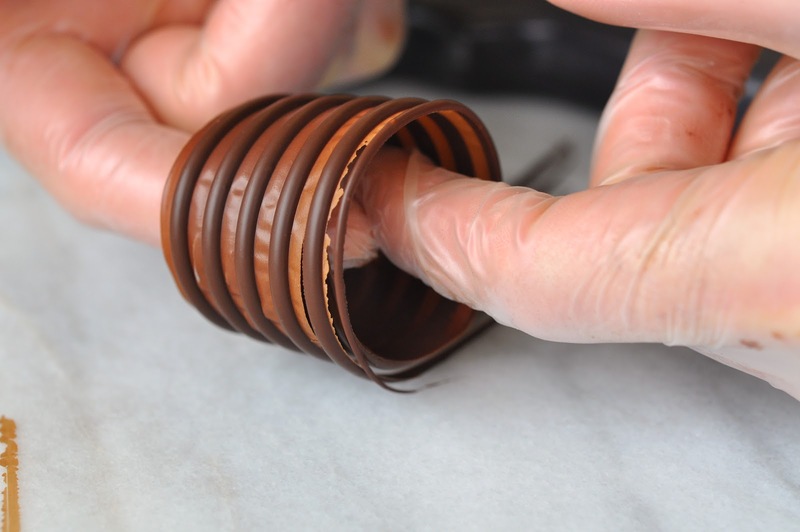 If it sets quickly and without streaks, you have perfectly tempered chocolate. Pictures & Information Sources: about a gazillion websites, blogs & magazines. The list is too long and varied to mention here. Very informative post, never knew so much went into a perfect chocolate.. Wonderful post dear !! lots of information !! Thanks for sharing this highly informative article. I am much informed reading it. 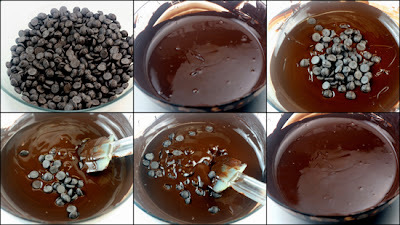 Thats wonderful post on tempering chocolate...Cant resist with the chocolate pics..
You have got an amazing blog with loads of info. Good going! I am your new follower :) Thanks for visiting by blog. Pls keep coming back! Good day gal! Fantastic post dear! So much I din't knw..
nice post. I love chocolates and this will help when I try to make one. very informative post. Hi Kavi, thanks for passing! I remember the first time I got my OTG and began to make chocolate brownies,I overheated the chocolate and it seized - Disaster! Thanks for the informative post. It had me drooling all the time i was reading it.